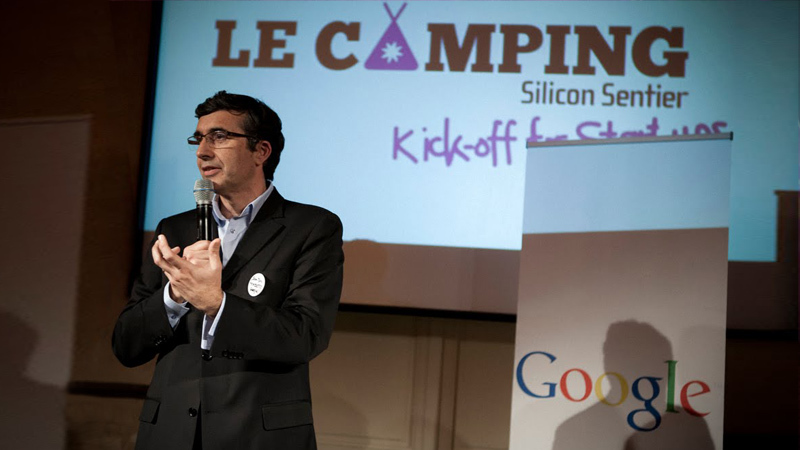 Le Camping is a parisian start-up accelerator that is backed by Google and several others. It is a 6-month program for tech start-ups that helps them to get off the ground with mentor ship, training and resources. For the launch in 2011 I was asked to create the brand from scratch as well as their website and communication. 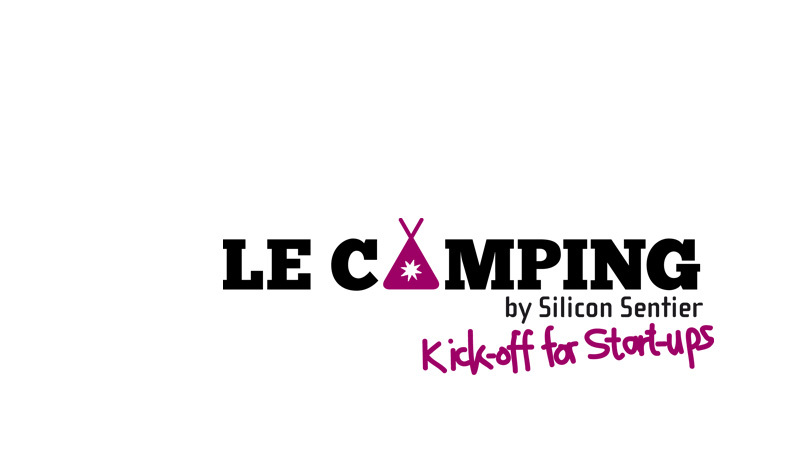 The selected font reminds of the stunning building where Le Camping's offices are, Le Bourse (photo underneath). 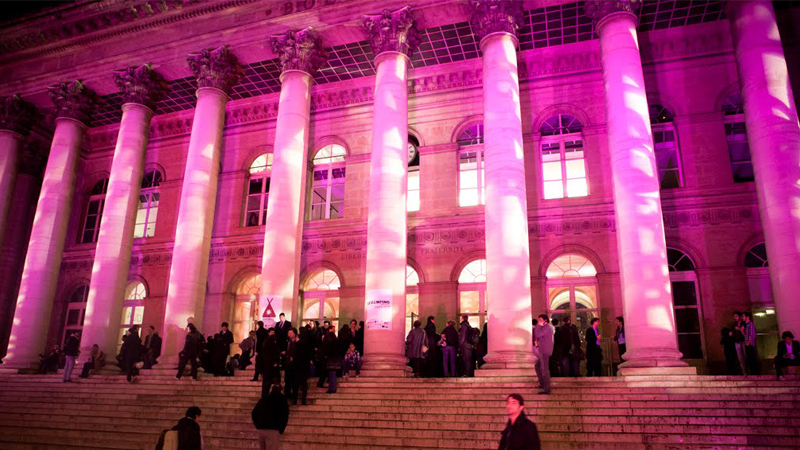 The color relates to its' parent foundation "Silicon Sentier". 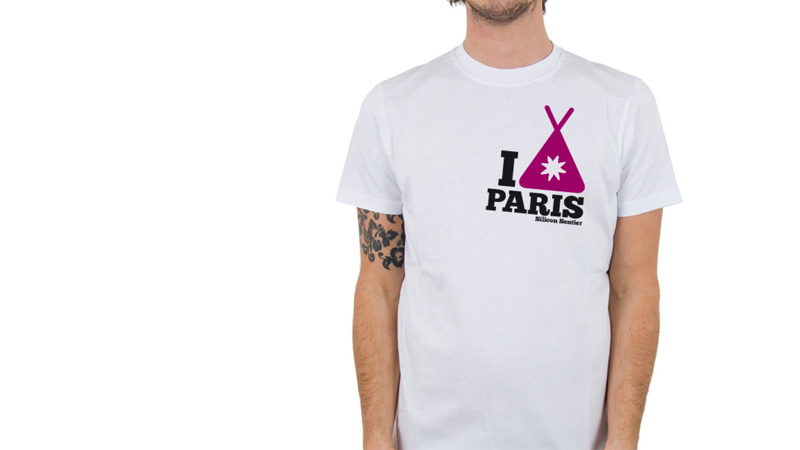 The entrance of the tent, which is part of the word mark, is a little star, the logo of "Ile de France". (The region around Paris which is behind this program as well). The tent logo has been lovingly remixed and used for countless creative occasions. Makes me happy to see!